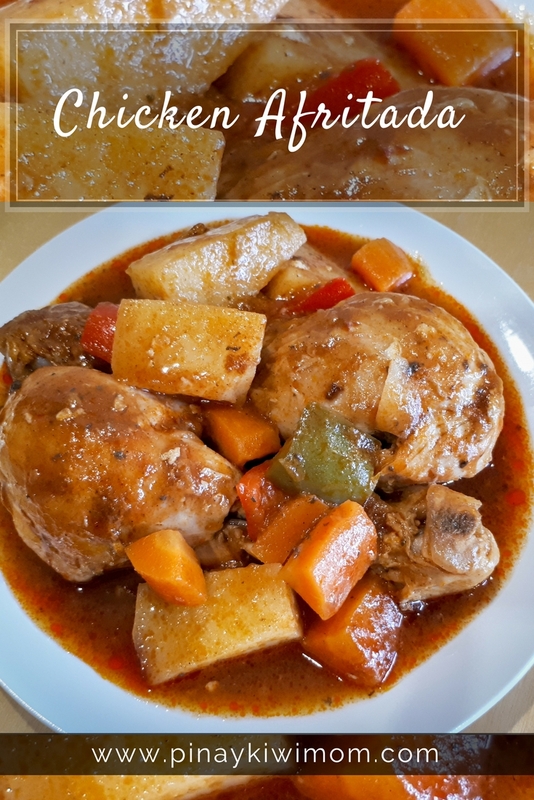 Chicken Afritada is a popular Filipino-Spanish inspired dish cooked in a tomato based sauce along with carrots, potatoes and bell pepper. Add chicken. Cook both sides until light brown. Add tomato sauce and water. Let it boil. Put dried bay leaves in a pot and then add chicken cube. Stir and cover. Cook between low to medium heat for 30 minutes or until chicken gets tender. Add carrot, bell peppers, and potato. Stir. Cover and cook for 15 minutes. Add salt and ground black pepper to taste. Stir and cook for 3 minutes more. Disclaimer: I am not a chef and neither am I a professional recipe developer. The recipes are taken from different sources and thought of sharing it. All images are taken by my husband.